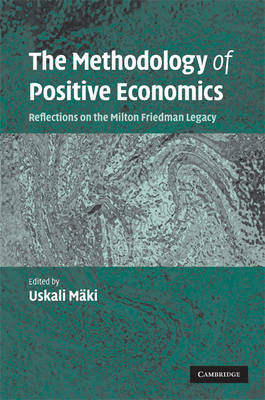 Milton Friedman's 1953 essay 'The methodology of positive economics' remains the most cited, influential, and controversial piece of methodological writing in twentieth-century economics. Since its appearance, the essay has shaped the image of economics as a scientific discipline, both within and outside of the academy. At the same time, there has been an ongoing controversy over the proper interpretation and normative evaluation of the essay. Perceptions have been sharply divided, with some viewing economics as a scientific success thanks to its adherence to Friedman's principles, others taking it as a failure for the same reason. In this book, a team of world-renowned experts in the methodology of economics cast new light on Friedman's methodological arguments and practices from a variety of perspectives. It provides the 21st century reader with an invaluable assessment of the impact and contemporary significance of Friedman's seminal work.